IG: @AfricanFoods: Health benefits of fruit juice. 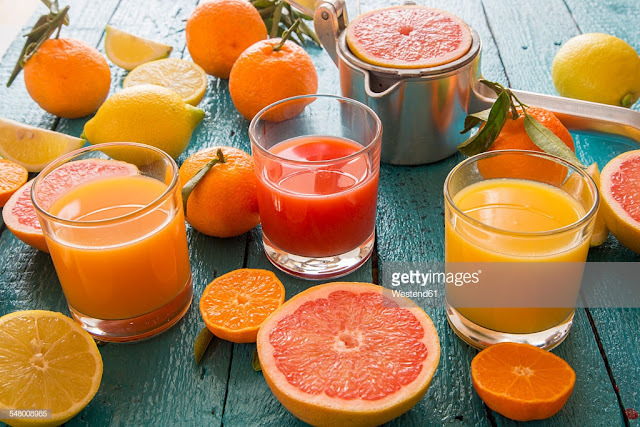 Health benefits of fruit juice. • Orange juice contains adequate quantity of Vitamin C that strengthens the immune system and good to prevent cold. • It helps to reduce bad cholesterol as well as blood pressure level. • Abundant with antioxidants and can check prostrate and breast cancer. • It is having potassium and good for joints pain. • Helps to clear blockages and enhances the heart functions. • Due to the presence of foliate, it acts like as rejuvenating agent. • It acts like as anti-inflammatory agent and good for arthritis. • It also increases appetite.